Success in the war on terrorism depends on knowing where the enemy is hiding and having resources in place to act on that knowledge quickly. In a war where the adversaries of freedom can strike at any time and from any point, our servicemen and women need the most sophisticated intelligence, surveillance and reconnaissance assets available. Their lives and the lives of innocent civilians may hang in the balance. 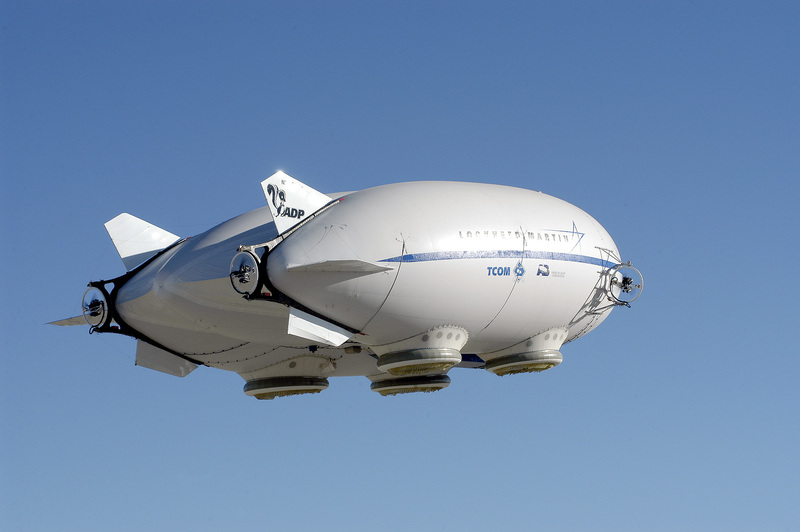 Lockheed Martin’s Hybrid Air Vehicle is one such asset, a multi-mission capable airship that can be designed as an unmanned or manned intelligence gatherer or transport vehicle. As an eye in the sky, this remarkable airship can stay aloft for up to three weeks at an altitude of 20,000 feet. Loaded with cameras, infrared sensors, communications relays, and other payloads, the Hybrid Air Vehicle can provide American and allied forces a clear picture of the battlefield. As a transport vehicle, the Hybrid Air Vehicle can be sized to move equipment and troops cost effectively to unimproved forward areas. This airship’s utility is not limited to military missions. Having eyes on a situation and the ability to support cargo transport is invaluable for humanitarian, disaster relief, and homeland security efforts. An affordable and environmentally sensitive solution, the Hybrid Air Vehicle is more fuel efficient than any other flying system, consuming less than a third the fuel of a fixed wing aircraft to accomplish the same mission. Using an innovative air cushion landing system, the airship can launch and land easily in open fields, parking lots or even on water using its innovative air cushion landing system. The Hybrid Air Vehicle is a unique blend of technology, supporting a variety of missions in peace and in conflict, enabling a safer, more secure world.